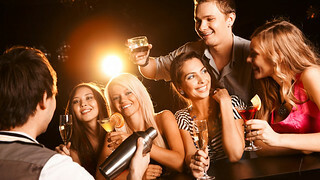 Find everything you need for a great party in Tauranga. We can help you plan and book your party or a weekend get away. Having a group event in Tauranga? 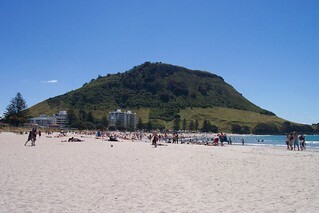 Tauranga and it surrounds which include Mount Maunganui (The Mount) and Papamoa offer perfect beaches and array of outdoor and indoor activities to suit everyone from extreme sports enthusiasts to music lovers and those in search of fine dining and discovering boutique beverages. Tauranga is just an easy three hour drive from Auckland, or you can just jump on a plane for a quick flight or take a scenic bus ride. It being only 1 hour from Rotorua, Hamilton, and Whakatane makes it a great weekend get-away. It’s also a popular stop over point for a number of cruise ships. Having your own car means it’s easy to get around the spread out Tauranga region. If you’re in the Mount, a bicycle is the perfect way to explore with the beachside boardwalk meaning that cycling is safe and easy. Being a beach side city, summer is divine with a number of things to see and do in Tauranga. There are concerts and festivals galore, not to mention the surfing, farmers markets and fishing! It also has a lot to offer in winter with its mild climate making it the perfect year round destination. The Mount —Walk around the Mount itself for a gentle walk or climb up the summit trail for even more magnificent views of the Western Bay of Plenty. Afterwards, enjoy a swim or surfing lesson at the beach in summer. Or year round enjoy the hot pools near the beach front for a luxury soak. Just across the road from the beach boardwalk is an exciting array of top restaurants to entice every appetite. This also a popular concert area and New Years is HUGE! The National Jazz Festival— looking for a great party idea? The National Jazz Festival in April gives a week of music, food, dancing and atmosphere. Whether a music lover or not, this is a must do for all groups. Visiting in winter? No problem. Warm yourself up by getting a group together and dancing at the Papamoa Beach Winter Festival to artists such as Tiki Taane. Waimarino Adventure Park—A perfect group activity idea is to visit the Waimarino Adventure Park. Situated right by the river, they rent out kayaks and can provide guided tours including visiting glow worm caves. Or enjoy the facilities of the parks themselves such as the robe swing or the inflatable “Blob”. It’s a fun party idea for all ages. Other group activity ideas for anyone searching for things to do in Tauranga include chartered fishing trips, claybird shooting, boat cruises, paintball and tandem skydiving – Contact Go Bananas to enquire about this for your group to have the ultimate adventure. If food and wine are what you’re after, visit Mills Reef Winery for discovering new wines. You’ll love the exquisite food in the restaurant and it’s the perfect venue for a birthday party or any other special occasion with its fine dining. Cider is also big right now so get a group together to visit the O Factory Tasting Shed in Te Puna. Situated in the gorgeous countryside, it’s a great group activity idea for anyone wishing to explore the region. Go Bananas can arrange transport for your group so you can all enjoy and drink safely. Looking to party in Tauranga ? The Strand is on the city’s waterfront. Take a stroll along the street for every type of restaurant you can think of and enjoy the bars and nightlife. There are always new bars popping up so a bar hop is a must.